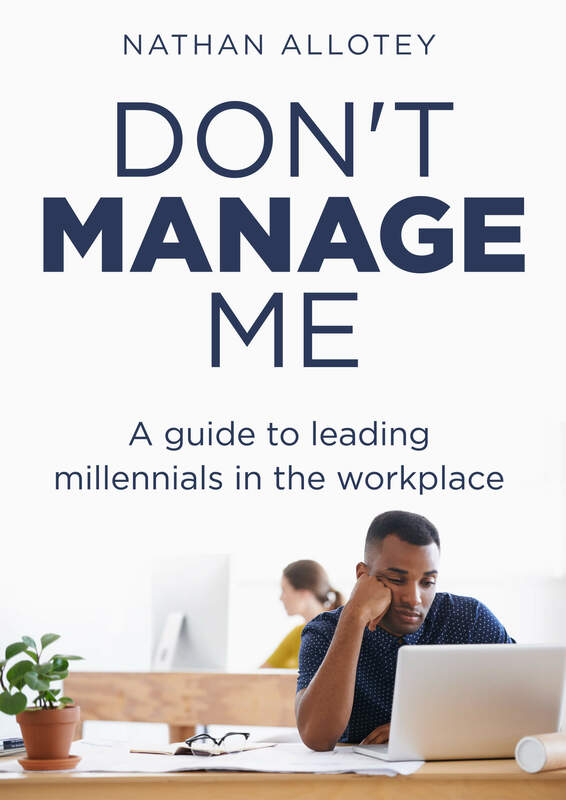 I’m (Nathan Allotey) and I’m writing a book called Don’t Manage Me: A Guide to Leading Millennials in the Workplace. It’s about how companies can make small shifts in their business which make a huge impact into retaining talent. Some of the nation’s top talent is currently working for your company, but they will leave within the next two years. At this exact moment, they are content, but with each passing day, they are growing dissatisfied. There’s a way to reverse what is happening and build a team of thriving new talent that wants to build up your company but it starts by listening. This guide was written from a millennial perspective and dives into the thoughts, actions and feedback millennials don’t normally tell their employers. Be the first to know when there’s more information about Don’t Manage Me and it’s release date by signing up for my mailing list. Before it’s released, I’ll be sharing some of the ideas and stories that I’ve collected for the book with my mailing list. Success! You will be notified of the book launch and any updates.